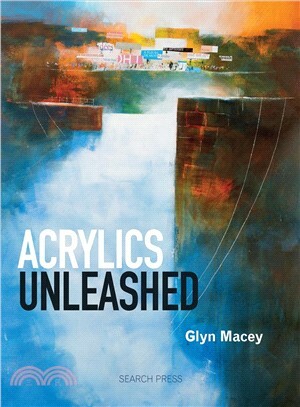 A complete guide to using acrylic paints creatively, this book showcases talented acrylics artist Glyn Macey’s irrepressible energy and the imagination that infuses every part of his work. He shares his painting techniques and methods that transform everyday views into gorgeous and unique acrylic artworks. Readers will learn to use acrylic paints in unusual, creative, and surprising ways to create open, inviting landscapes, breathtaking seascapes, and urban scenes packed with life. The book contains nine varied step-by-step projects to follow, which build on a large techniques section that explains how Glyn uses the materials around him to build authentic and powerful pieces of art. Glyn Macey is a professional artist who has featured in several DVDs and books about his art and travels.